PLUS SIZE NEWS: 2 WEEKS TO GO BEFORE THE SUPERSALE BAZAAR! 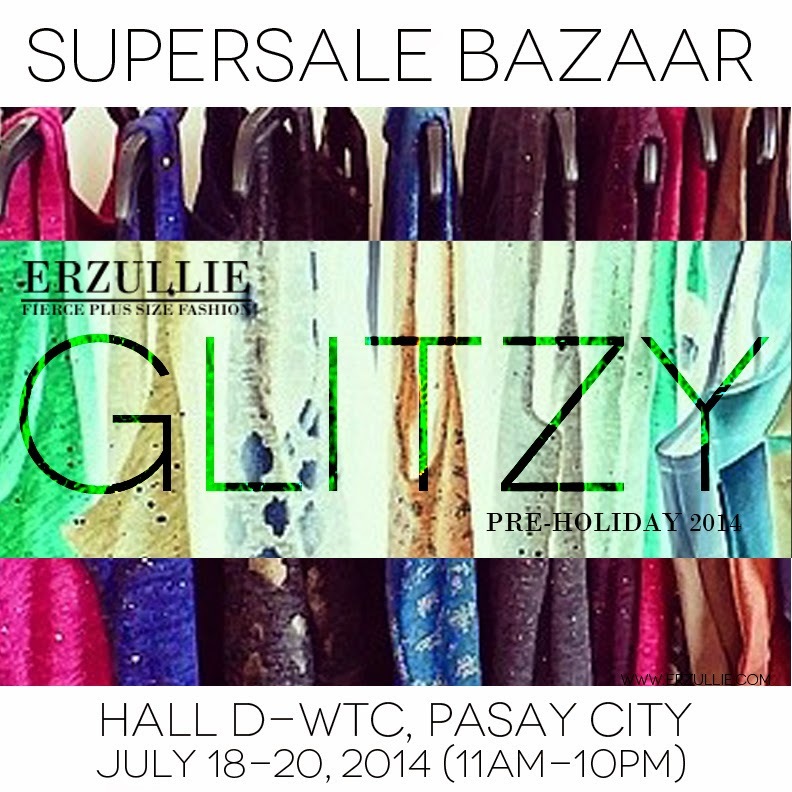 2 weeks to go before the public release of the Erzullie Pre-Holiday 2014 collection at the SuperSale Bazaar, Hall D --- World Trade Center, Pasay City on July 18-20, 2014 (11am-10pm)! Get ready to buy new glitzy dresses, coats and vests, while enjoying 50% off on selected items! An oh, get ready to pair them up with the #Erzullie and #WalangMasama tops to make them all the fiercer!